This has become known as the “Halal economy”, a burgeoning sector that is predicted to be worth more than $3 trillion by 2023 – and that doesn’t even include the $3.8 trillion Islamic finance industry which would then be known as the “Islamic Economy”. Halal food will, by that time, be valued at $1.86 trillion, nearly two-thirds of the overall market. 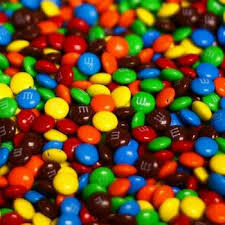 Halal credentials – as M&Ms found out – can pay dividends.